Mexico, Oct 29 (IANS) Germany’s Sebastian Vettel snagged pole position for the Mexican Grand Prix after a hard-fought battle with Max Verstappen, while Lewis Hamilton will start from the third spot as he seeks to clinch his fourth Formula One title. Vettel, who drives for Ferrari, posted a best-lap time of 1 minute 16.488 seconds in the third and final round of qualifying to secure pole position for the 50th time in his career on Saturday, reports Efe. He barely beat out Red Bull’s Verstappen, whose best time was just 0.086 seconds slower. 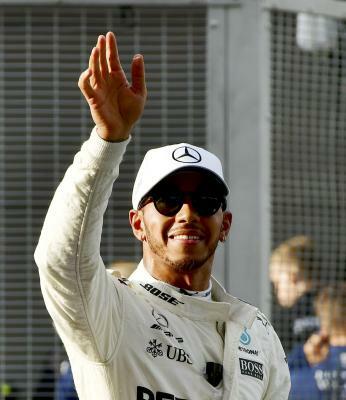 Hamilton had started first on the grid in the last three F1 races but was well off the pace of the top two qualifiers on Saturday at the Hermanos Rodriguez Autodrome in Mexico City. Even so, the Mercedes driver (331 points) can clinch his third F1 title of the past four years with a fifth-place finish or better in Sunday’s race. Hamilton has a virtually insurmountable 66-point lead over second-place driver Vettel (265 points) with just three races remaining in the 20-race season.